These simple solutions for scratching, hairballs, and shedding will help you enjoy kitty’s companionship without worrying about damage to your home decor. Along with the joys of being a cat parent comes the challenge of protecting your home from scratching, hairballs, and shedding. These three tips will help you defend your decor so you can get back to kitty playtime and snuggle sessions. 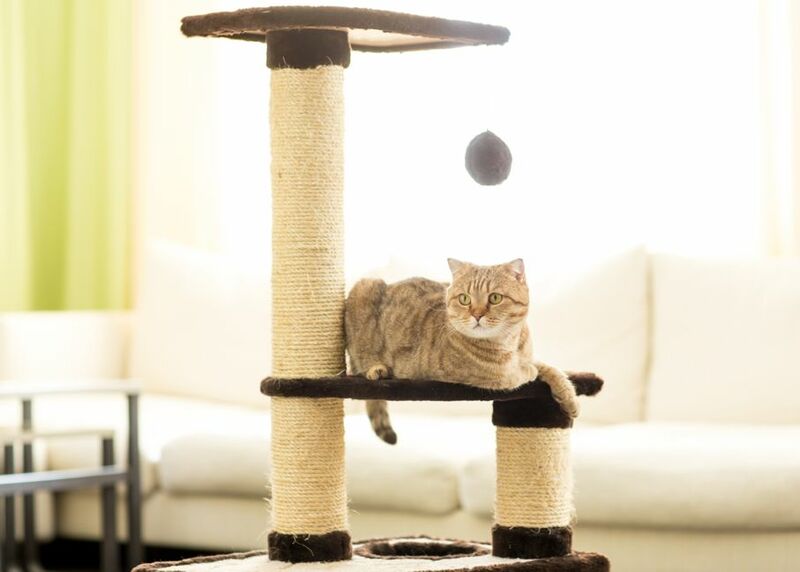 Cats have a natural instinct to scratch, so the best way to keep your furniture, rugs, and curtains from being clawed to shreds is to provide kitty with a sturdy scratching post. 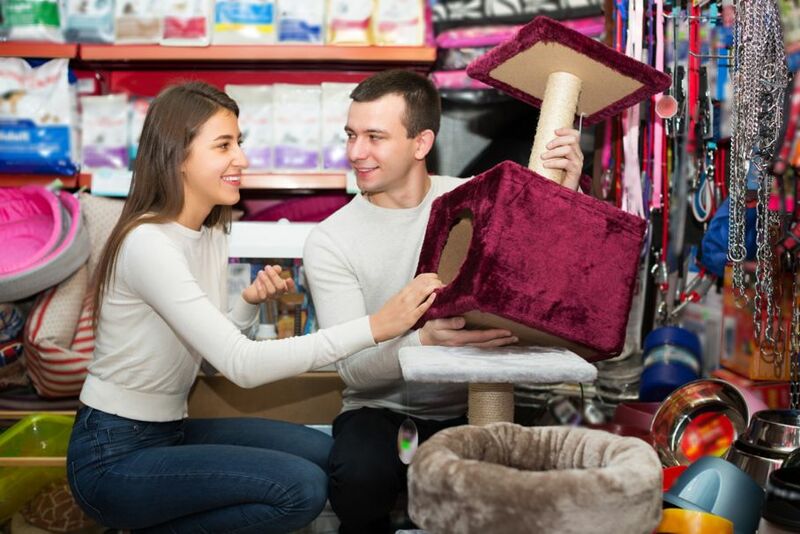 Your local pet store will have a variety of options in different colors and materials, so you can choose the best fit for your decor. Avoid the temptation to choose the cheaper models made of cardboard, as they don’t last very long and leave shredded bits on your floor. In the unfortunate case that kitty ignores the scratching post, you still have some options. Anti-scratching tape and sprays can be used on your cat’s favorite scratching spots. There are also products that discourage destructive behavior, including sprays containing calming pheromones and noisemakers. When all else fails, a slipcover in a tough fabric such as polyester or nylon twill can help shield furniture from kitty’s claws. All cat parents know the battle cry of an oncoming hairball, and sometimes you can’t move kitty off your rug or comforter fast enough. Having stain sprays on-hand is always smart, but the best defense against hairballs is prevention. 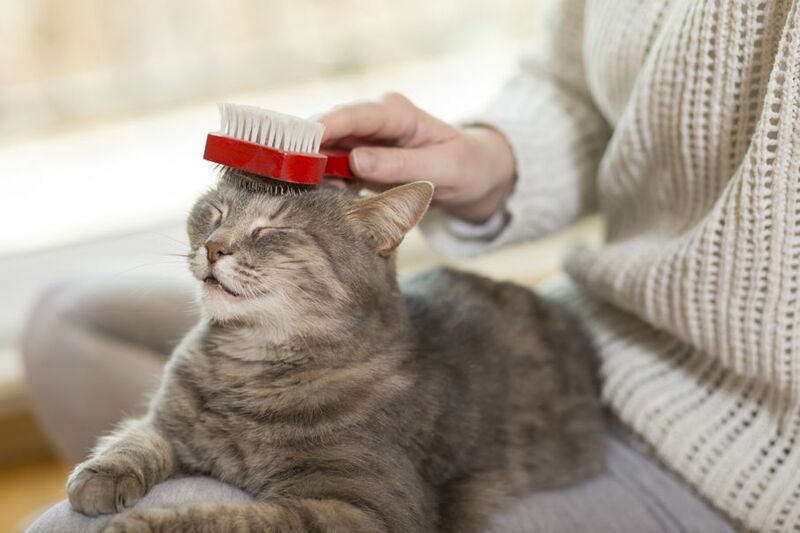 Cats spend a lot of time grooming themselves, so regular brushing is the most effective way to prevent a build-up of hair in kitty’s stomach — and to reduce shedding on your floors and furniture. Speaking of shedding, investing in a good vacuum should be a #lifegoal for any cat parent. Unless you have a hypoallergenic cat, preventing your kitty’s fur from becoming a permanent accent in your home decor will be a constant struggle. While any vacuum is better than nothing, a powerful model with an attachment for upholstery is well worth the expense, not only for cat hair but for tracked litter and the kibble bits that somehow end up across the room from kitty’s food bowl. 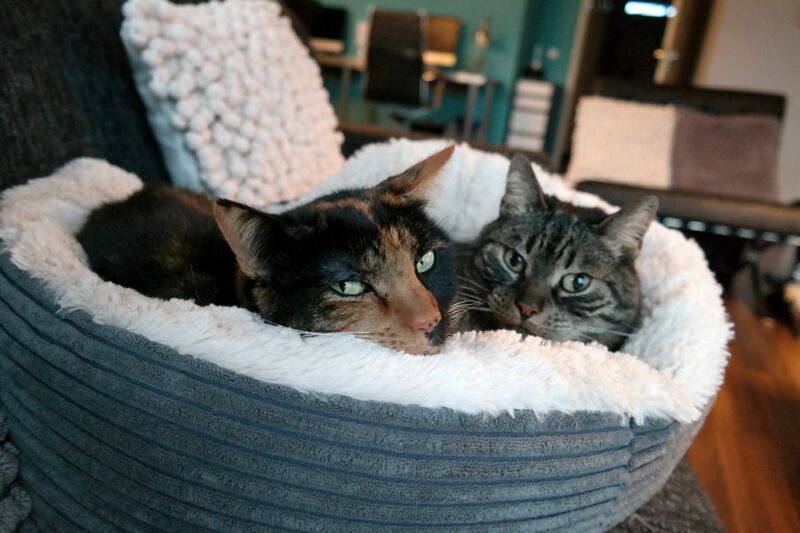 Another tip for preventing fur on your furniture is to provide your cat with a bed or house so they have another comfy place to sleep and hang out in. 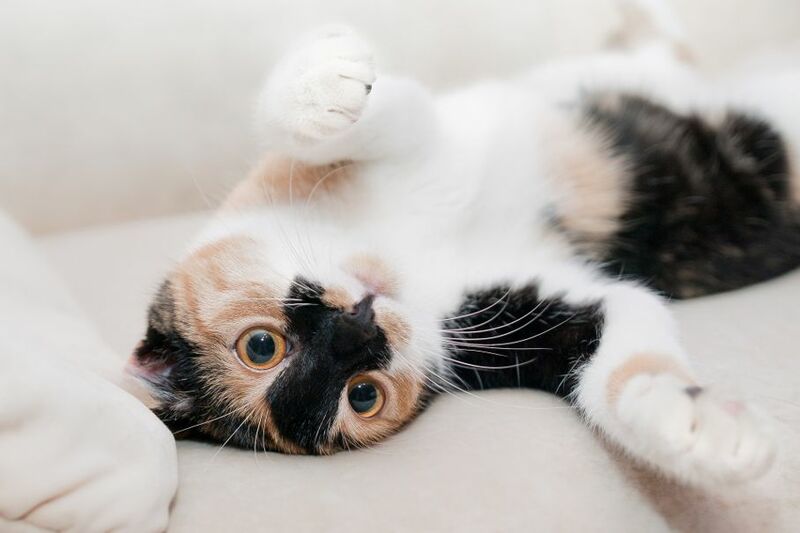 Being a cat parent may come with some struggles, but these simple solutions for scratching, hairballs, and shedding will help you enjoy kitty’s companionship without worrying about damage to your home decor.